When it comes to pest management in Woodland, California, you can count on Earthwise Pest Management to get the job done right. When it comes to pest management, there are short-term and long-term methods. Anyone can spray pesticides on an ant trail and stop the problem for a few weeks until the ants return. At Earthwise Pest Management, we prefer to take a long-term approach to pest control in Woodland, California by offering Integrated Pest Management (IPM). IPM is a method of pest removal and control that not only gets rid of current infestations, but also eradicates the cause of the initial infestation, preventing future pests from entering your property. We have been serving the Woodland community long enough to know how to satisfy our customers and protect their homes from a variety of pests. It doesn’t matter whether you are a home or a business owner, you need to know that you can get all of your extermination needs from a fast and reliable company whenever you so need them. That company is Earthwise Pest Management. As a family-owned and operated company, we do everything we can to give our clients everything and more that they need when it comes to pest control services. If you live in the Woodland area, find out how we can help you to protect your home or business below. Our unique pest control strategy is sure to guarantee the results you are hoping to achieve. Your Woodland home should not act as a host to any sort of pest, and we know precisely how to get rid of any critters that threaten how healthy and safe your home is as a whole. If you have seen the signs of pests in your home, don’t wait to find a solution fast. Find the help you are looking for at Earthwise Pest Management. Whether you are in need of a trusted exterminator to get rid of pests in a school, office building, warehouse, or elsewhere, the experienced pest management team at Earthwise Pest Control has been providing the very best services in commercial spaces in Woodland long enough to know how to get the job done right the first time. If you want to get rid of pests fast, don’t hesitate to call us now. Prevention is ideal when it comes to pest control in your Woodland home or business. If we are able to eliminate the source of a problem before the problem even exists, you can have complete peace of mind knowing that you have already done all that is required to keep out unwanted critters. But how do we do it? When you hire a pest control company that is as experienced at Earthwise, you get to have the advantage of having a pest control expert with a ton of knowledge on your side. We have been able to effectively eliminate bugs and rodents from homes all over Woodland, and we also pride ourselves on being able to service our customers by simply being a wealth of knowledge for them about all of their pest concerns. Even if you are not sure what sort of pest is causing you issues in your home or business, we guarantee we can figure it out. While you expect for our team to be able to complete our pest control services without any sort of hang-ups there is more that goes into good service than simply doing the job that is asked of us. We also want our customers to enjoy their experience with Earthwise because our staff is friendly and extremely concerned with the happiness of our customers. When we arrive, we will offer friendly and comprehensive service every single time. If you are concerned about how much your pest control services are going to cost you, you need to know that Earthwise Pest Management is your best choice when it comes to pest control in your Woodland home. We want you to feel comfortable in your house, but we don’t want to overcharge you for the services we provide. We will work with you and provide you with services that are sure to work for you, your family, and your budget. In order to learn more about the prices of our pest control services, you can visit our website or simply call our team of expert pest technicians today. If you live or own a commercial space in Woodland and you suspect that you may have a rodent problem, it may occur to you to try and remedy the issue yourself. Unfortunately, mice especially can be very difficult for one person to handle on their own. As they are stealthy and extremely quick on their feet, damage to your home can be extensive if these pests are not eliminated in a timely manner. 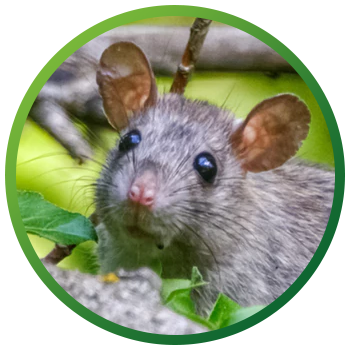 Not only can Earthwise Pest Management get rid of the rodents in your home, but we will also work to seal your home so that mice and rats cannot get back into a space once it has been exterminated. If you are having an issue with rodents in your home, please contact our team of pest control experts today!